It is easy to forget sometimes, but your track record for getting through the tough times so far is 100%. Think about that for a minute. How many times have you been certain that you couldn't make it one more day? Yet here you are, reading these words. 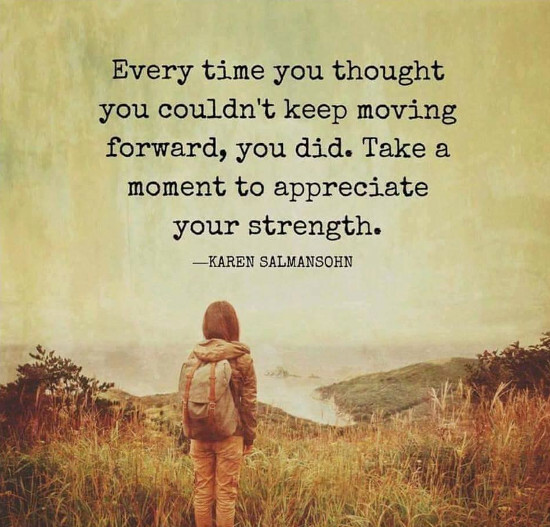 Appreciate that, hold onto that, and believe that you can keep doing it. Keep going.